As accolades go… being voted ‘Best Emerging International Artist’ at Toronto’s Indie Week 2017, is not a bad one to have! Single By Sunday have spent most of 2017 building their fan base, working on their sound and ultimately honing their live performance. 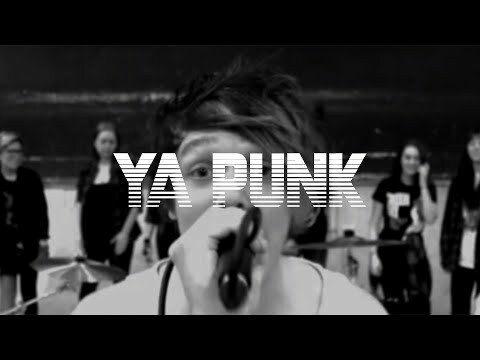 Not wishing to be pigeonholed, as ‘just another pop band’ they are defining their own genre; melodic pop punk, fuelled with their usual catchy hooks, lead riffs and fun filled live energy that makes them a draw at any show. The band began 2017 with a headline show on the mainstage at the O2 ABC in Glasgow, this was followed by a respectable 16 festival appearances, including, Carfest North & South, Belladrum, Camden Rocks and Sunflower Fest (Northern Ireland) to name a few. A total of 40 live shows throughout the year has meant countless hours on the road going from one end of the country to the other in an effort to widen their fan base and prove that they are prepared to put in the work. With comparisons still being drawn between themselves and the likes of The Vamps and You Me at Six, Single By Sunday, show no signs of letting up from their relentless schedule. 2018 will see the release of their fourth and much anticipated EP alongside a return (by public demand) to the mainstage of the O2 ABC, in Glasgow for their first headline show of the year. Power punk-pop rockers Single By Sunday are going for it with new single Romeo. It’s way better than big-hitters Busted’s comeback track.